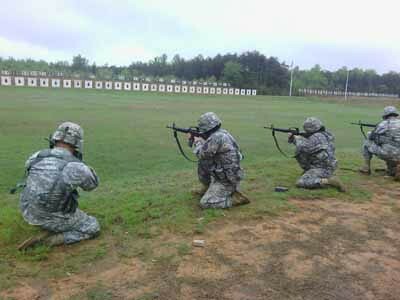 May22 by John M. Buol Jr.
For rifle shooting, ARCD BN 3 “Firestorm” Soldiers achieved a 76% first time qualification rate. 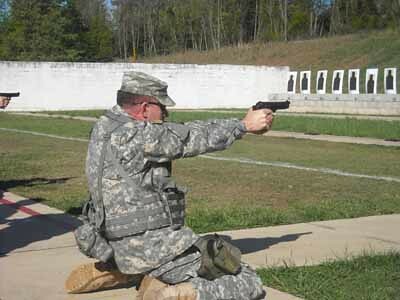 With pistol, personnel achieved an 80% first time qualification rate. With a combined 82 Soldiers, this was a total 91% of ARCD personnel achieving a first time successful qualification rate. In addition, Firestorm shot rifle and pistol Excellence In Competition events. EIC events have been formally recognized by the Army since 1884. 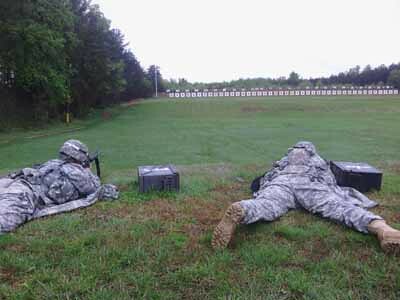 The program tracks marksmanship achievement via a point system commonly referred to as “Leg” points in an effort to obtain awards signifying heightened marksmanship ability. EIC badges are much more prominent than normal qualification badges, issued in Bronze, Silver and Gold, as opposed to the typical “tin” qualification badge, and eligible for wear on dress uniforms, as per 670-1. This EIC program is governed by AR 350-66 and is recognized by all services, not just the Army, as well as civilians.